FANDUEL SPECIFIC OPTIMAL LINEUPS, PROJECTIONS, & DFS STRATEGY. LineStar® is the #1 Companion App for FanDuel DFS. 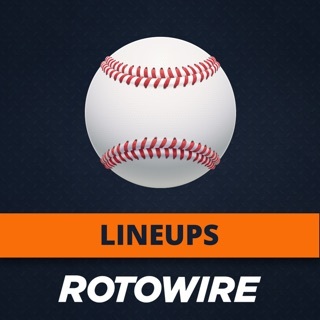 The world's only PATENTED Lineup Optimizer! Including NFL, NBA, MLB, NHL, PGA, NASCAR, WNBA. You don't have to be a genius, or watch 10 hours of sports to win on FanDuel. Don't worry, we do the heavy lifting for you. Our algorithm takes into account over 100+ unique factors. Finally, gain an edge in Daily Fantasy Sports. Our secret sauce helps determine the best value for your FanDuel salary requirement. Easily find hidden gems and underrated value players based on solid data. Generate multiple variations of lineups to maximize your odds. CREATE GREAT LINEUPS FAST, SIT BACK AND ENJOY THE GAMES! LineStar Apps are free to download and everyone can access limited projections/strategy for any sport. 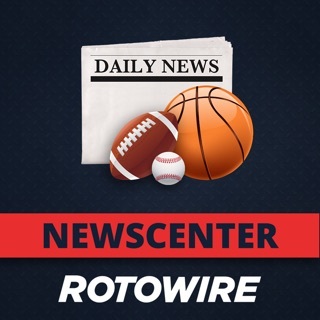 All Subscribers get full access to our website + all LineStar apps for DraftKings, FanDuel, and Yahoo Fantasy. Subscribers can access all sports, all projections, and ability to generate unlimited optimal lineups in a variety of formats. 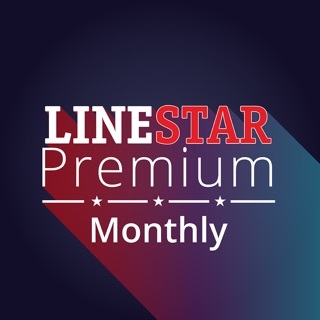 • Unlimited access to all LineStar apps + Website. Cancel Anytime, hassle free. • Free trial available for weekly subscriptions. Your subscription will automatically renew, and your credit card will be charged through your iTunes account unless auto-renew is turned off at least 24-hours before the end of the current period. You can turn off auto-renew at any time from your iTunes account settings. Proudly Made in San Diego, CA by Fantasy Sports Co. This app is not affiliated with, or endorsed by FanDuel Inc. All trademarks are property of their respective owners. This app is for entertainment purposes only. Technology behind LineStar is covered by US patents: 9,751,010 - 9,744,450 additional patents pending. LineStar® is a registered trademark of Fantasy Sports Co.
*Promotional offers for new subscribers only. Other restrictions apply. Your FanDuel Season Just Got Better! Hit us up @LineStarApp on Twitter or Info@FantasySportsCo.com we love to hear from you! This is my second year using LineStar and it’s by far my favorite DFS app. I’ve tried other sites but none of the other sites could compete with LineStar’s mobile app! The web interface is easy to use and looks great but the mobile app is hands down my favorite part of LineStar. From lineup construction to research, the mobile app is the best. And all your info connects seamlessly to the website. Can’t praise the mobile app enough. As far as winnings go, I finally broke the $100 mark playing baseball! The Daily Matchup tool is my favorite to use. It’s not just the info LineStar provides that’s important, but being able to store my lines ups, my favorites and getting updated with mobile alerts is what I feel separates LineStar from the rest. The final mic drop for why LineStar is the best DFS app available - the price! It’s affordable and the LineStar team is friendly and available to answer questions. Linestar is by far my new best friend . Before LS I spent countless hours on research, this tool cut my digging Time by hours. Everything you need at the tips of your fingers on your cell phone. As if it wasn’t already great , they add new features everyday. I have tried them all, not only is linestar the best, they have the best service and team. I have several tournament takedowns on different dfs sites and most of it is because linestar and allowed me the time and provided the info for me to build winning lineups! Thanks guys keep up the great work!